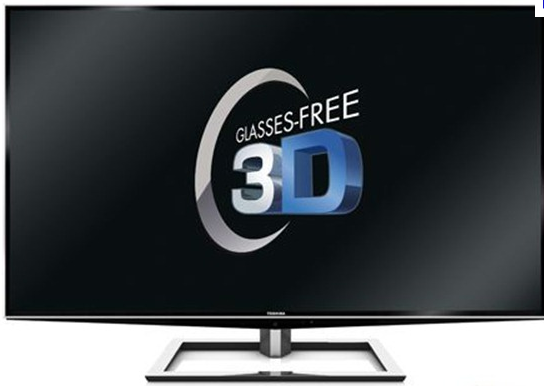 If there was one technology triumphed over anything else at last year's Consumer Electronics Show in Las Vegas, it was glasses-free 3DTV; with companies like Toshiba, LG and Sony each showcasing what is possible to achieve without the need for active/passive 3D glasses. Stream TV, makers of the Elocity tablets, was another electronics company on the show floor, demonstrating its own wares to a sceptical public. Despite little else seen in 2011 from the company in terms of units on shelves (despite promising a 52-inch version in May and 56-inch and 60-inch models in September), the company has now announced its intentions to unveil its new Ultra-D technology at CES 2012. Touted by the firm as “next generation 3D without glasses display technology that surpasses all 3D viewing experiences offered to date,” it's also promised to deliver real-time 2D-to-3D conversion of any video content (viewable without glasses) and conversion from stereoscopic 3D (with glasses) to auto-stereoscopic 3D content (without glasses). “Another key differentiator of the Ultra-D technology,” the press release states, “enables customisation of the 3D effect to address individual differences in spatial perception and the varying impact of 3D rendering on viewer comfort” - an important point to latch onto, since many attendees of last year's show felt underwhelmed by the glasses-free 3D technologies' tendency to waver with the slightest of movements away from the 'sweet spot'. Stream TV is expected to unveil the technology on January 9, 2012 at CES 2012.